"Religion that is pure and undefiled before God the Father is this: to visit orphans and widows in their affliction, and to keep oneself unstained from the world." God shows His love and the importance He places on orphans throughout the Bible, from the Old Testament to the New. He is called a “Father of the fatherless” in Psalm 68:5, and He commands His followers to “give justice to the weak and the fatherless; maintain the right of the afflicted and the destitute” (Psalm 82:3). We are called to take care of orphans because they cannot take care of themselves. God’s heart for the orphans is what drives Lifesong for Orphans (Canada). Lifesong for Orphans (Canada) is a registered charitable organization in Canada. We currently oversee the Lifesong Harmony School in Kitwe, Zambia, where we run grades pre-school to 11 for 535 students. Many of our children have lost one or both parents for various reasons. All of our students attend the school free of charge because our child sponsorship program allows donors to provide school uniforms, school supplies, medical care, wages for our staff, and two meals each day. Your money goes where you want it to go! 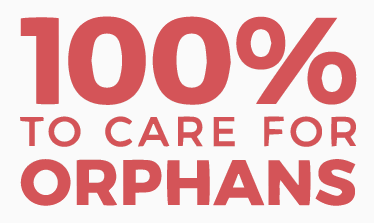 100% of your donation goes directly towards caring for orphans and vulnerable children, and you can choose where your donation goes. This can range from construction projects to child sponsorships. Lifesong has been blessed with partners that underwrite all administrative and fundraising costs. All of our staff work with Lifesong on a volunteer basis, meaning that every last cent of your donation goes to the orphans. Not want for food, clothing, medical care, or shelter. Be taught the Gospel and how to live as followers of Jesus Christ. Receive a quality education to provide a foundation for their future. Experience continued love and support as they transition into adult living.